This offer is still available if you missed it the first time we shared! Here’s a great deal on waterpark admission for a fun waterpark in McMinnville, Oregon. 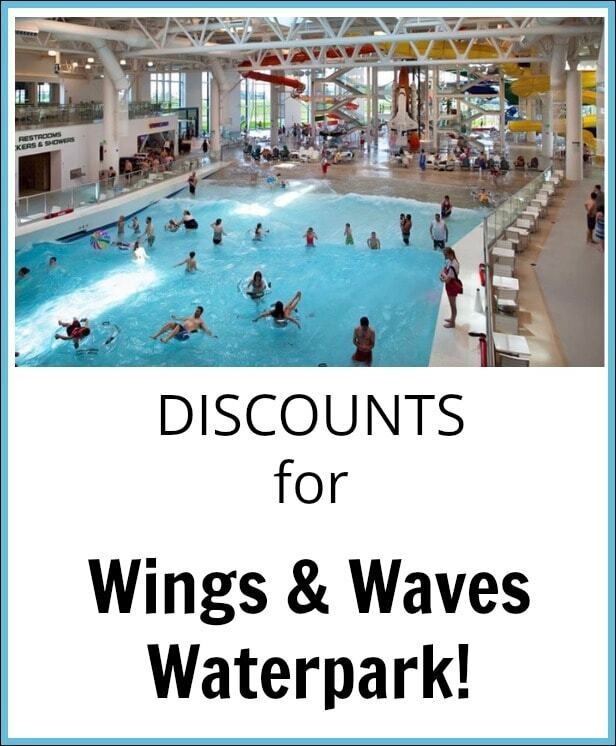 Get One Day Passes to the Evergreen Wings & Waves indoor waterpark for just $17.50 through Get My Perks here! This is one of the best offers we have seen (regular price is $29). 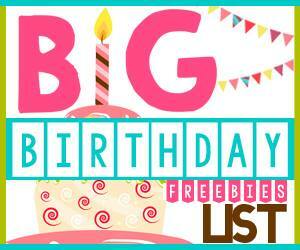 This deal is only available for the over 42″ all day pass (which is the most expensive). 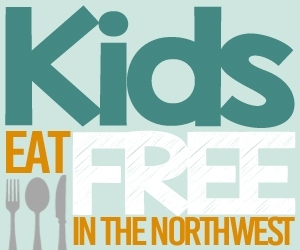 If you do not plan to enjoy the water you can get a $10 pass to watch your kids too. The offer should be on that page if it is still available (note – it did sell out quickly last time we shared it)! Groupon currently also has an offer of 2 tickets for $33 ($22 per ticket) here. There is also the same deal for 2 tickets for $44 ($22 per ticket) on Living Social. This is a good deal if you are buying for those that are tall enough to do the larger slides (so would be $29 ea). This place is amazing: it’s an educational waterpark with ten waterslides (including one that drops out of an actual Boeing 747), a wave pool and a hands-on science center to teach students about the power of water. I think this could be a great experience gift for your kids or grandkids, too for their birthday! 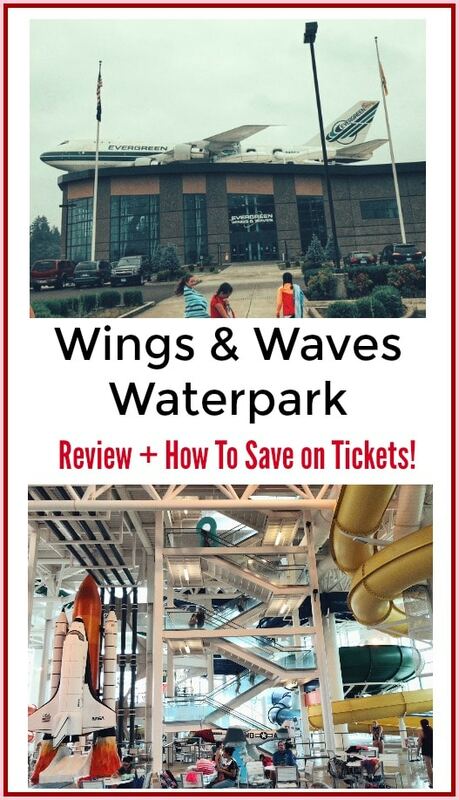 We share a review of the waterpark here, if you want more details about it. This offer is for the Over 42″ Tall Pass. Does not include admission to the museum. Vouchers do not expire. Please allow 3-5 business days for admission vouchers to be mailed to you. Admission vouchers are mailed via USPS. There is $1 shipping charge per order. I didn’t get this deal because we already had the Groupon, but a friend did. Sadly, what came in the mail was passed to the museum, not the park. Anyone else have this problem? Hi Anna – There were actually 2 different deals available at that time from Get My Perks – a deal for the Wings Waterpark as well as a deal for the Evergreen Aviation Museum. It sounds like your friend may have accidentally purchased the Aviation Museum tickets instead of the Waterpark deal tickets. I would have her look back at her confirmation email & her Get My Perks account under “My Purchases” to see what it says. If she did accidentally purchase the Aviation Museum tickets, then I would still try to contact Get My Perks to see if she can send back the tickets for a refund. Hope that helps! I have the same issue and I am confident that I purchased the wings and waves. Little irritated! Jennifer – Definitely look for your confirmation email from back when you bought it a few weeks ago & also check your Get My Perks account under “My purchases”. If it shows that you bought the Wings & Waves waterpark tickets, then let us know & we’ll find out what’s going on with the folks at Get My Perks. If you can send us a screenshot of where it shows you bought the Wings & Waves waterpark ticket, so we can send that to them. You can email us at [email protected] – thanks!